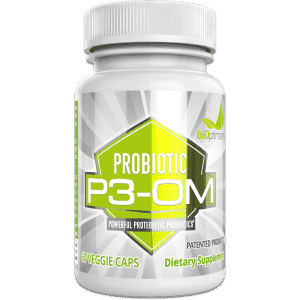 PATENTED PROBIOTIC: P3-OM uses a patented process (patent #: 5,895,758) to dramatically enhance L. Plantarum—one of the most studied probiotics ever—resulting in a new super strain that can digest the protein-coating of pathogens like yeast, mold, viruses and even parasites. BOOSTS AMINO ACID ABSORPTION: The proteolytic nature of P3-OM means it helps convert protein into usable amino acids that feed your brain, gut and muscles. 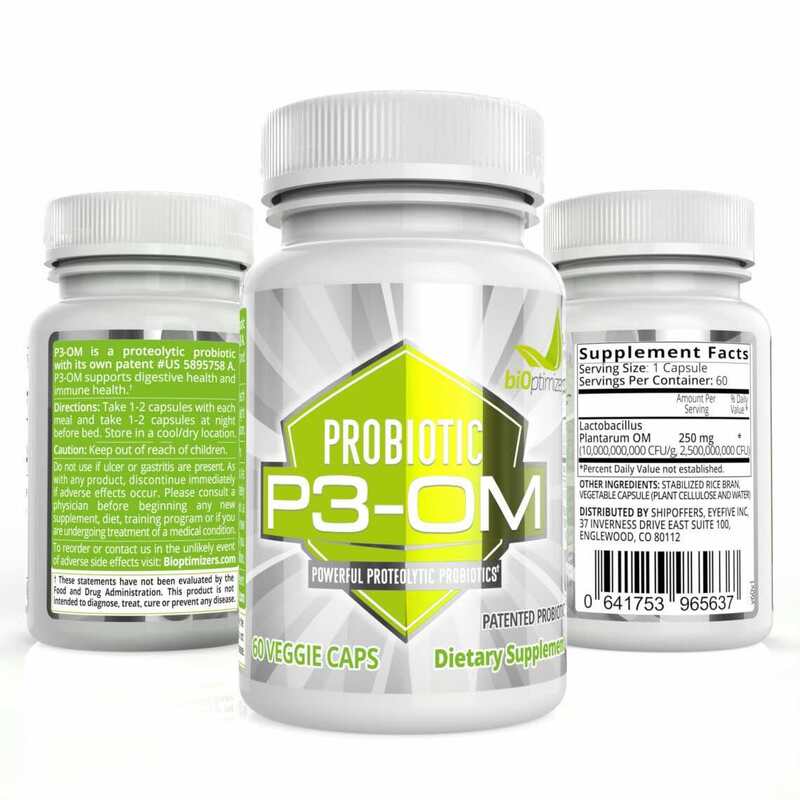 FREEZE-DRIED FOR MAX POTENCY: P3-OM uses this process to keeps the beneficial bacteria “dormant” until they make contact with water again. 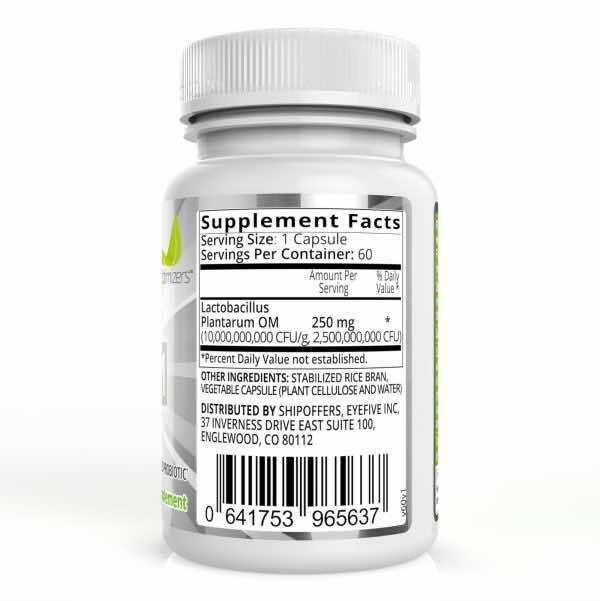 UNPARALLELED DOUBLING POWER: P3OM doubles every 20 minutes as long as it has nutrients to feed on. According to a shocking new study, multi-strain probiotics with “billions” of bacteria per serving DON’T WORK. The researchers even go so far as to suggest that multi-strain probiotics should NOT be universally given as a “one-size-fits-all” supplement. Yogurt, kefir, and other probiotic foods are not the solution for everybody. In other words, those probiotic foods don’t help your immune system. They don’t help with weight loss, help your skin, boost your energy, or do anything else they claim to do. This data was further confirmed by Viome testing expert, Naveen Jain. Jain and his Viome testing team discovered that commonly consumed probiotics DON’T make it into people’s guts. While multi-strain probiotic products don’t live up to the hype — researchers recently discovered a “proteolytic” (protein-digesting) single strain with nearly miraculous properties. 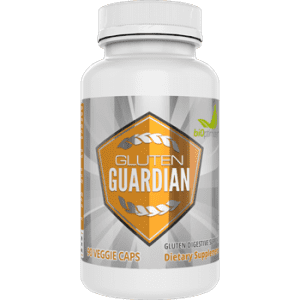 Firstly, it is important to know why a probiotic that breaks down protein in the gut is a game-changer. The main reason is that protein is a leading cause of autoimmune issues, digestive problems, gas, bloating, weight gain… even aging. 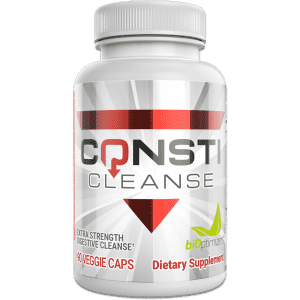 You can clean up the undigested protein in your gut. After that, what was a graveyard for suffering and potential disease becomes a fertile garden for optimum nutrient absorption, metabolism, and energy. 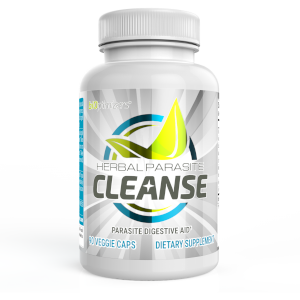 In other words, a healthy and happy digestive system. Secondly, all pathogens are protein-based lifeforms. Yeast, mold, viruses, parasites, and others can make you sick. 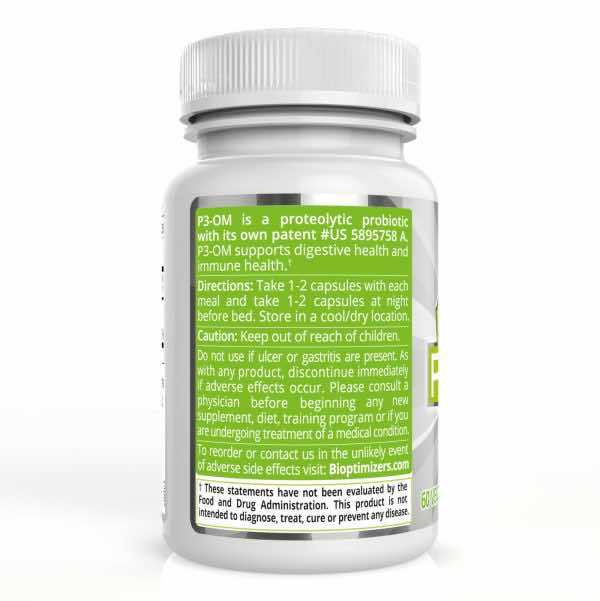 Therefore, it makes sense that a probiotic designed to attack and kill foreign proteins is the ultimate defense. This is why researchers referred to it as the “Navy SEAL” of probiotics. Because they’d simply NEVER seen any probiotic that was so ruthless at attacking foreign invaders and toxic bacteria that ruin your health…and age your body. It’s so effective at defending you, in fact, it’s PATENTED. You don’t have to be afraid of every food you eat. Stop worrying that you’ll gain fat or suffer from gas, bloating, feeling sluggish, or feelings of depression. Above all, You DESERVE IT!